The Little Lions went onto the 7-2 victory, in a game that was closer than the scoreboard posted. 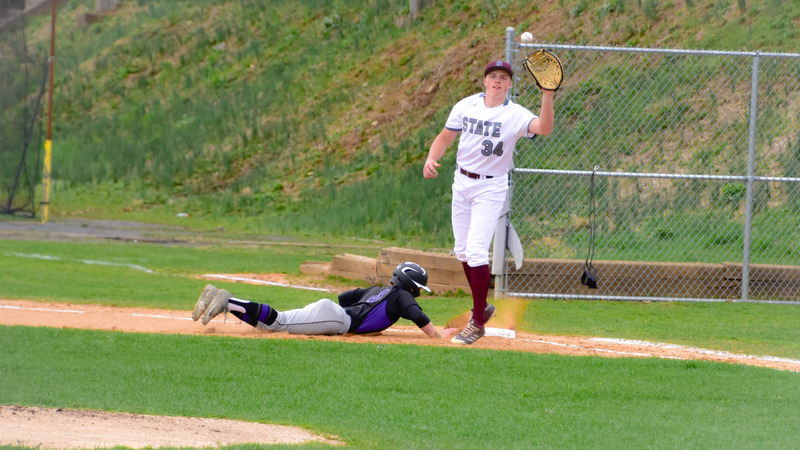 Mifflin County posted two first inning runs while State College battled back one in the fourth, four in the fifth and two in the sixth. Picking up the win on the afternoon was Joe Nastasi while Brian Yetter took the loss. Noah Wright and Max Oburn were the only two batters finishing with hits on the night. State College got multiple hits from Tyson Cooper and Jared Houser with two hits each. In the first, Oburn led off the game with a single. Colby Bodtorf followed with a walk. Wright singled in Oburn, making it 1-0. Bodtorf would later score when he was brought in by bases loaded walk by Evan King. State College’s Neil Singer would cut the Huskies’ lead in fourth when he scored. In the fifth, Singer, Nastasi, Jared Houser and AJ Arnold scored to take the 5-2 advantage going into the sixth. State College put the game away in the sixth, en route to the 7-2 victory.